Having relocated because my spouse has scored a great state job, I have looked into a career as a trucker. I live in a state which legalized cannabis use recreationally for adults, and I have smoked Cannabis. Looking into trucker training and cdl's led me to decide to immediately cease any and all use of cannabis. I have never used any illegal substances, and haven't even had a drink in about 15 years. From the info I gather, I would pass a U/A after maybe a month clean, but would take up to 90 days to pass a hair test. I intend to wait the full 90 days, shave my beard and cut my hair short, then let it grow to at least 1.5 inches, then apply to a company for cdl training and employment. My question is, should I get an independent hair test before applying, to absolutely insure that I pass, or would that go on my medical records and show up to employers or DOT records? I do not want to risk a failure and will remain compliant to all standards expected from a CDL A truck driver. I want to begin this career with honesty and integrity. 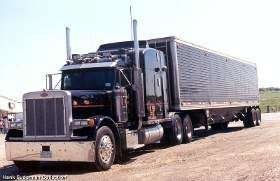 Should I wait for 90-120 days to start training, or find a company that offers cdl training and does UA only? Thanks for any advice, and please take into account, my use was completely legal, and was before I looked into driving as a career move.